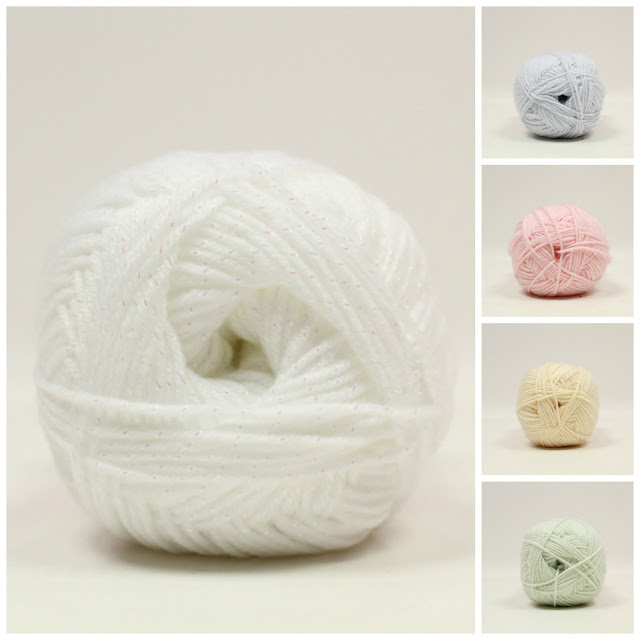 It's a super soft blend of synthetic fibres that includes a subtle sparkle - available in 5 shades and in 320m/100g balls. It's a classic DK weight so will work with lots of patterns! Shop sample coming soon - cute baby cardigan on the pins.